Hello! It's Nicole Watson with Donna Downey's 2018 Artist Gang! 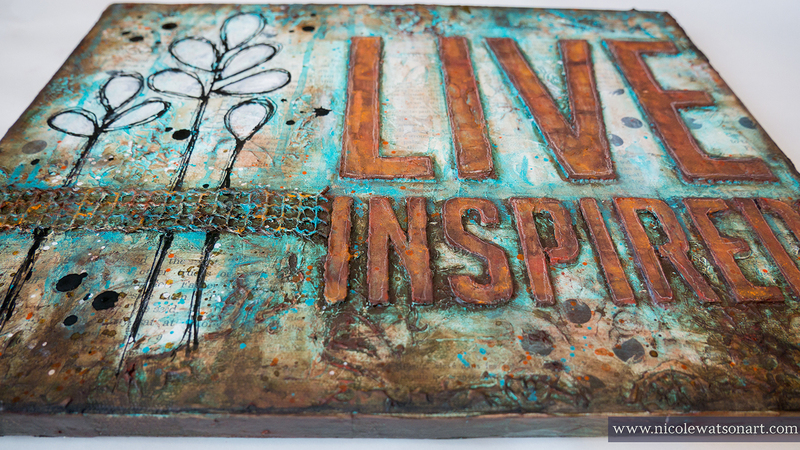 As I flipped through Donna’s stencils, this bold “live inspired” statement grabbed me, and I knew I needed to put molding paste in this stencil to make a statement piece. I added several layers including book text, rubons, super heavy gesso, hand drawn leaf shapes, splatters, pan pastels, and a twine-like ribbon. I’m hanging this on my wall for a while as a daily reminder to not only look for inspiration in the everyday but to also live it. The m-w.com website defines inspired as, “outstanding or brilliant in a way or to a degree suggestive of divine.” It is often so easy to forget the simple inspirations in life. 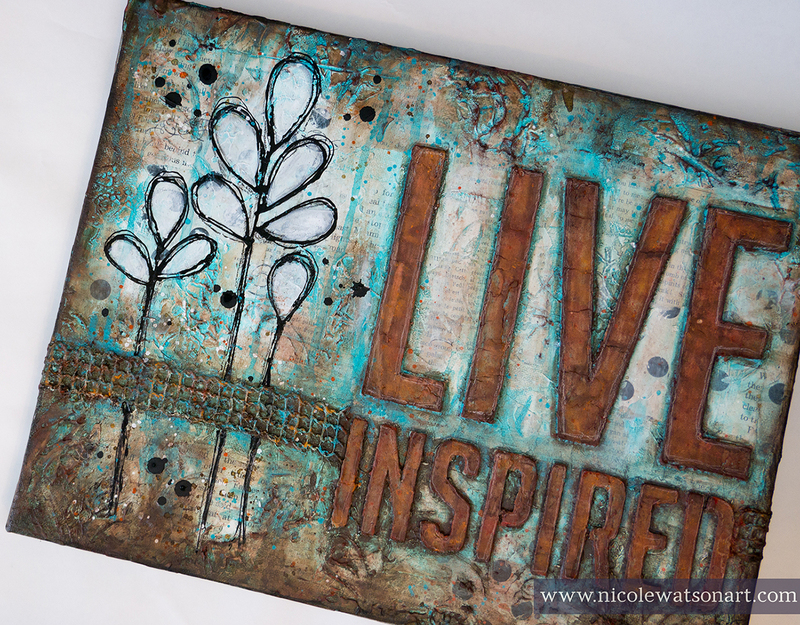 I hope this tutorial encourages and inspires you to create a statement piece for your wall that reminds you to seek moments of inspiration and live them out in your life and your art. The supplies are featured in the video above, and you can find most of them in Donna's shop! 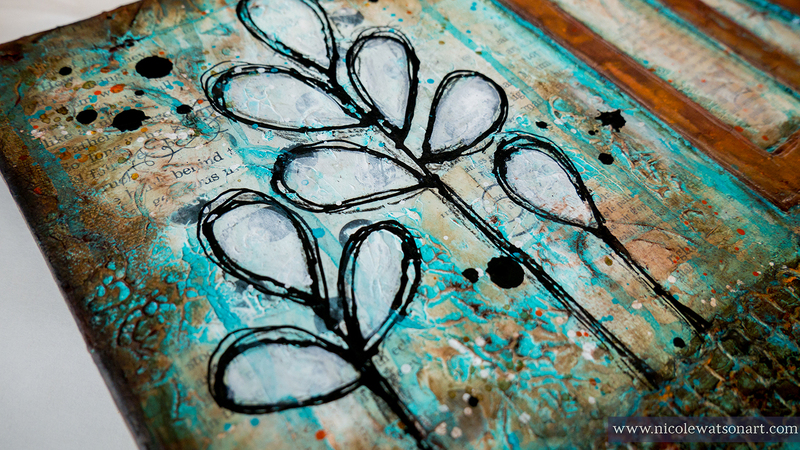 While you’re here on Donna’s website, grab the live inspired stencil so you can make this canvas, too! After you've tried this technique, hop over to to the donna downey : Community of Artists facebook page and share what you created! I'd love to see your canvas. Hi! I’m Nicole Watson, a Midwest girl who married a Southern boy and now lives in Houston, Texas. Art has always been a constant for me … from collecting random bits of paper at a young age, to selling my first painting in high school, then discovering mixed media while studying art and design at Iowa State University (ISU). 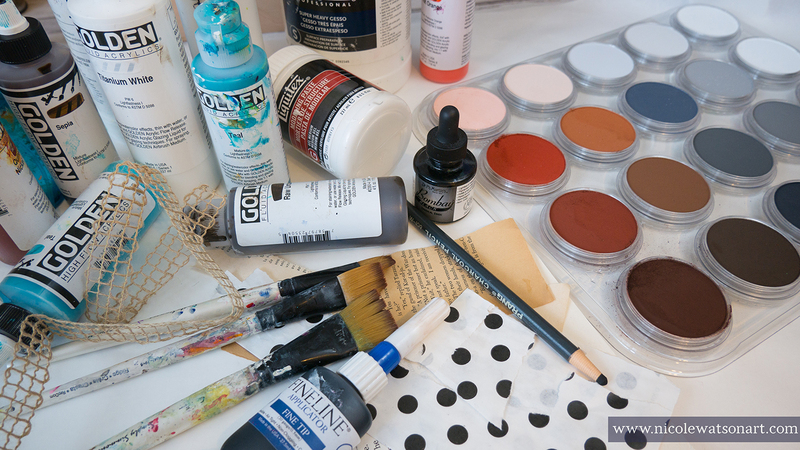 Other stops along my art journey include scrapbooking, card making, freelance photography, and layout/graphic design. I enjoy the messy hands that result from creating. 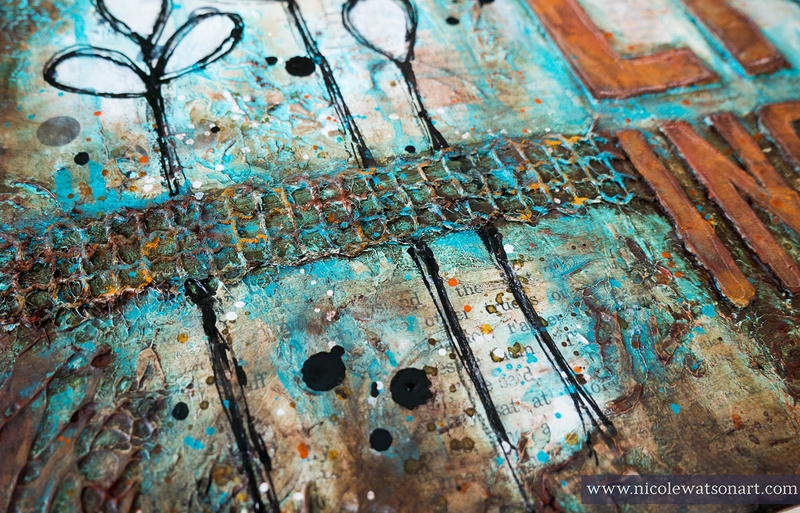 Mixed media allows me to discover new art forms while uniquely combining the things I love most—whether fun mediums like watercolor, pastel, or acrylic on canvas to textural elements like gesso, ephemera, and other found objects. My proudest accomplishments this past year include completing Donna’s 48 Weeks class and binding the 17 plus pound journal that resulted, as well as finishing my Bachelor of Liberal Studies degree/Russian Studies minor as a distance student at ISU. After taking many online and in-person art classes and creating in my studio, I’m excited to begin sharing my art with the world while hopefully inspiring others to do the same.